Very recently, the #MeToo movement has been doing rounds in the country. A lot of women have opened up and raised their voice against people who have tried to take advantage of them. A massive accusation has now been made on a big name of Indian cricket. The CEO of BCCI Rahul Johri has been accused of sexual harassment. The woman who has made the allegations hasn’t revealed her identity. The victim is believed to be a journalist and a former colleague of Rahul Johri. An author Harnidh Kaur has shared the whole story on Twitter keeping the identity of the victim as anonymous. 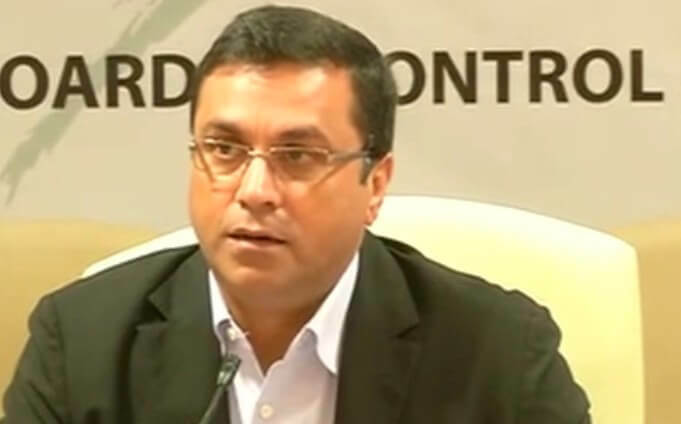 Rahul Johri has been serving as the chief executive of BCCI since April 2016. The woman has accused him of inappropriate behavior. In the post, as per the victim, Johri took the woman home with him and took advantage of her in return for a job opportunity. It now remains to be seen what actions the committee of the Board takes. As of now, there has been no statement or clarification published. Perhaps, an inquiry will be made on the matter and the further actions will be taken. The country has witnessed several #MeToo revelations in the past month. After the Bollywood actress Tanushree Dutta made allegations on Nana Patekar, there has been a rage all over India. Many allegations have been made on some of the big names in Bollywood. However, this is the first time a name in Indian cricket has been blamed. Earlier, former Sri Lankan captain Arjuna Ranatunga and pacer Lasith Malinga had also come under the scanner. There haven’t been any clarifications made by any of the two so far. England v India, 2nd ODI, Turning Point: Where did it go wrong for India?